I get cut weekly. 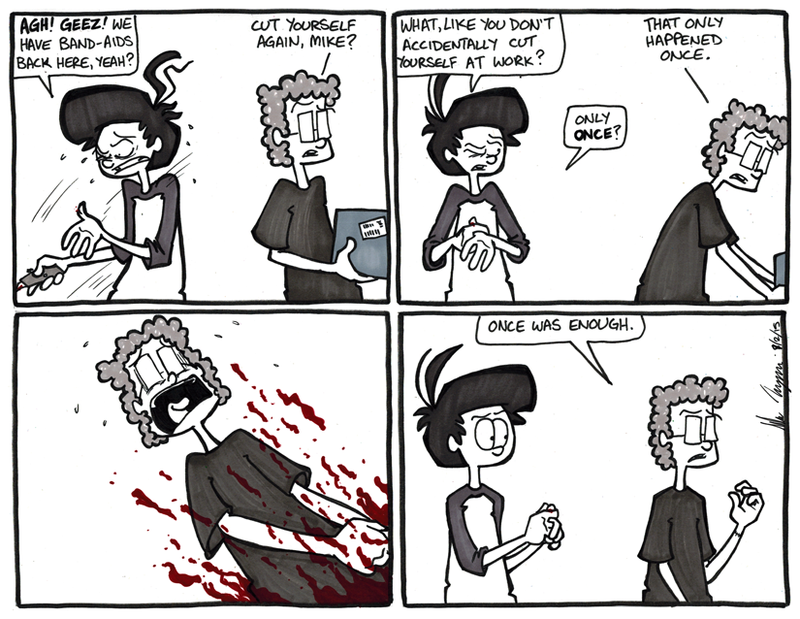 Be it through a paper cut, a cardboard cut, or an errant razor blade. None of them are pleasant. It’s hard to remember any time I was working with John that he ever suffered the same injuries. Maybe he has tougher skin or he’s just much more adept at keeping his hands in places that don’t have sharp things, but I’m pretty sure I emptied out an entire box of band-aids all by myself from all those cuts.